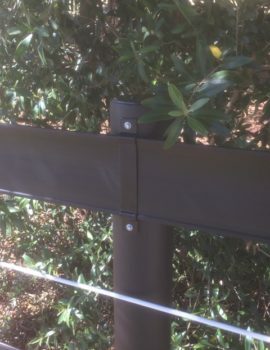 The E-posts are economical plastic fence posts. This fence post has a diameter of 97mm and measures 1.8 metres in length. It is E for the environment, and it is E for the economical solution for plastic fence posts. 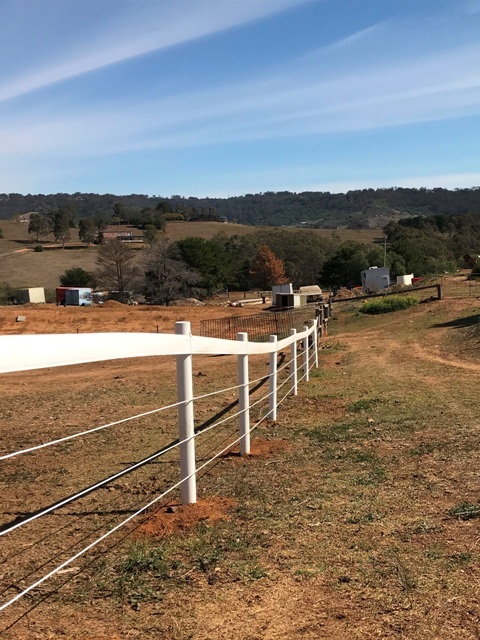 It is the perfect post for use as an interim post with both our 120mm horse fencing rail and plastic coated wire. It is not however suitable for use as a straining post. The smooth white finish will create a dramatic and classy looking fence. Perfect for that white formal dressage arena look. 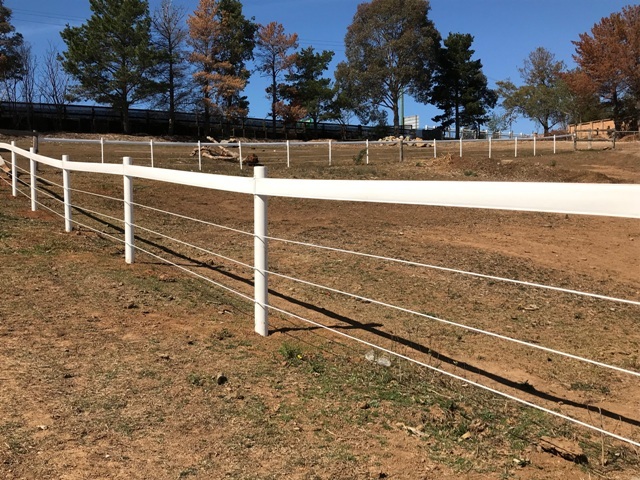 Completing the look achieved by our 120mm fence rail it will attract customers looking to add value to their properties. It is also available in black and brown to match our other rail products. The E-post is the result of a significant amount of development and testing. 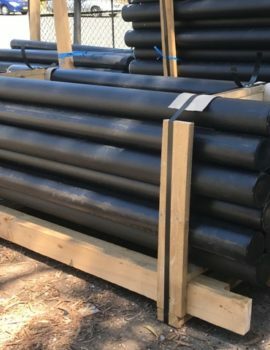 It is a two layer plastic fence post, combining the rigidity of 100% recycled thermoplastic core with the Chemical resistance of a polyolefin alloy. 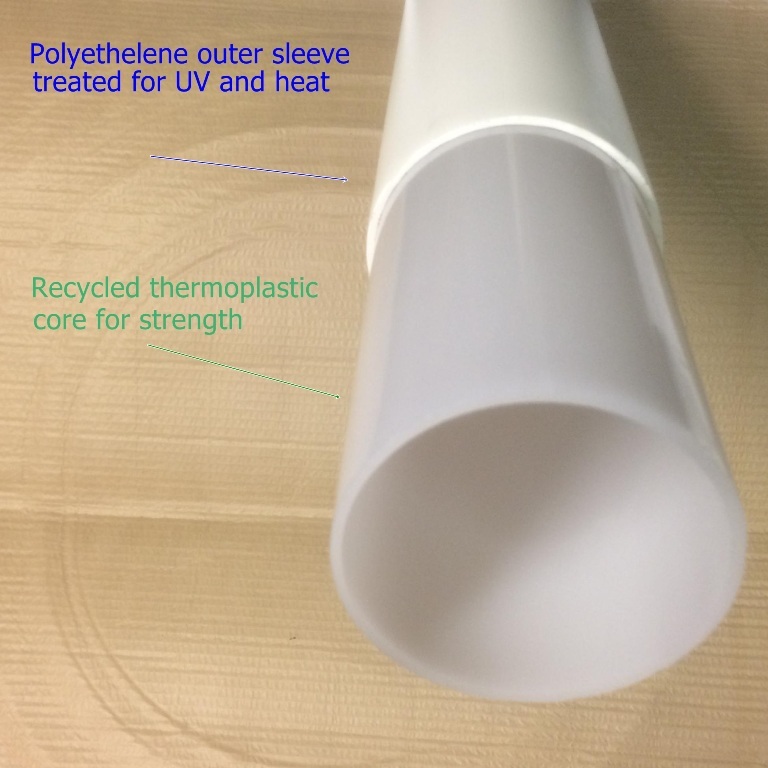 The outer skin consists of recycled Polyolefin, modified to protect it from Ultra violet and Infra-red radiation. 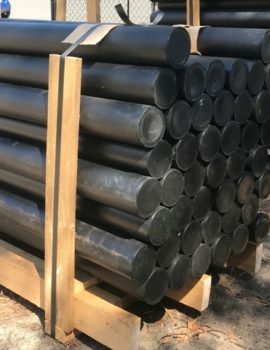 When exposed to heat from direct sunlight the bending, normally seen in Plastic posts is minimised. It also has a high chemical resistance. Protection from aggressive ground water and general rot. The inner core is a rigid thermoplastic made from 100% recycled materials. This core is formulated for rigidity and strength. 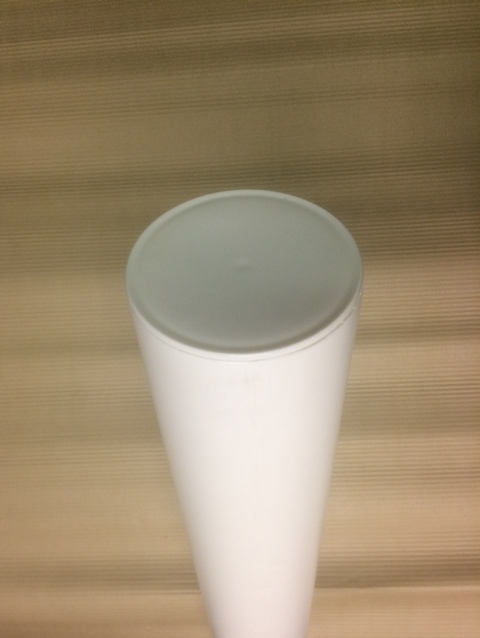 The ends of the posts are sealed with a welded plastic end cap. 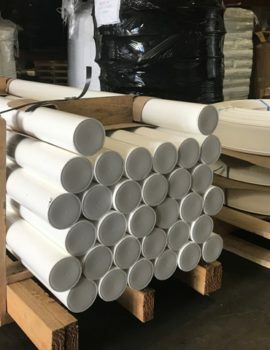 The E- posts are ideal plastic fence posts. 1. It will not rot. 3. Hardly bends in sunlight. 5. Its thermoplastic core makes it rigid. 6. Its two layers of polyolefin polymers provides for secure screw attachment. 8. 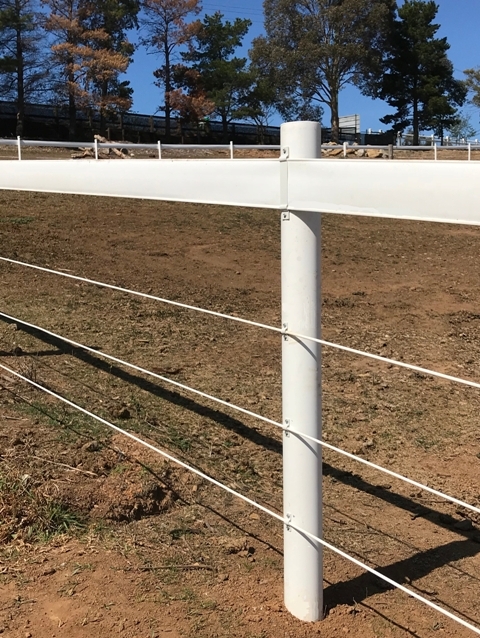 Available in colours to match our horse fencing rail and plastic coated wire. 9. Features 100% recycled thermoplastics. In the bounce back system the brackets can be installed with self-drilling tech screws. Why not use our plastic post screws.